Early in the morning of October the first, 1998, sprinklers had already begun their daily routine. Automatic radios flipped on to deliver dead air to an audience of no one. Timed coffee machines whirred helplessly as they attempted to pump water from dried tanks through weeks old coffee grounds. The city’s infrastructure was very much alive, it would seem, in its final few minutes. The people – the men, women, and children, who made up the city’s once bustling streets, however, were more than likely already gone. Raccoon City was already dead before the nuclear missile detonated high in the sky above – it just didn’t know it yet. It’s difficult to really believe it’s been twenty years since those agonizing few days, and the abrupt ending that sent America into years of traumatic distrust and anguish. Raccoon City, a town that in life was rather innocuous and sleepy, instantly came to the lips of every person on Earth. Whether it was in those first few confused days as everyone tried to cope with the reality of how it ended – the United States detonating a nuclear weapon on its own soil, killing thousands in the blink of an eye, or the horrifying information that laid the ground work for a series of supreme court cases that lasted for nearly 5 years. Information that detailed not a city in the midst of civil unrest or a terrorist plot, but instead that of a weaponized viral outbreak that claimed the lives of nearly everyone in the city even before the missile struck. The T-Virus, as the world would come to know it, and the devastating blood ledger that lay at the feet of the once trusted multi-billion dollar corporation, Umbrella Pharmaceuticals, Inc. 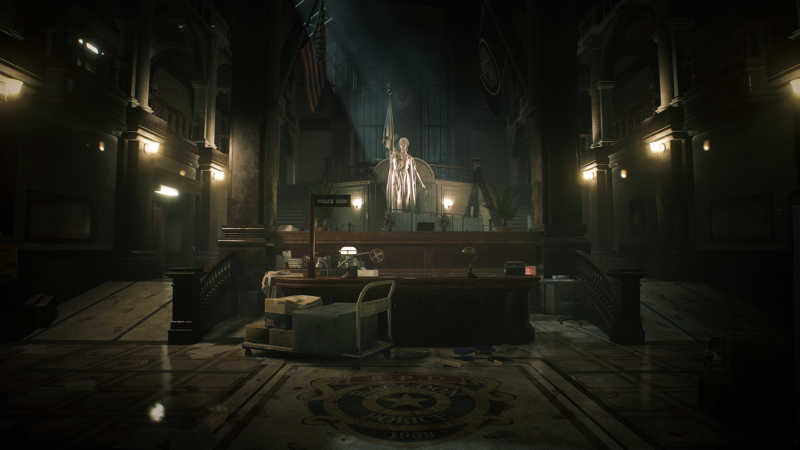 While the bravery of those who shared the most damning testimony against Umbrella, from Yoko Suzuki and Linda Baldwin, to the massive file of evidence that an anonymous tipster handed over to the prosecution (that eventually lead to the Umbrella Corporation being found guilty on all counts, and the warrant for Oswell Spencer, the company’s founder) in 2003 must of course go recognized, I feel it’s important to take a moment and remember Raccoon City as it was. 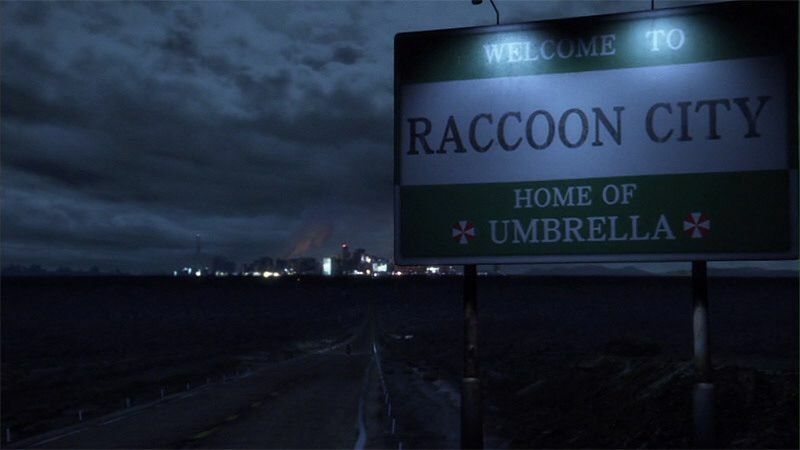 To remember that before the horror, before the advent of global bio-terror and the rebirth of the modern Umbrella Corporation (which the public still has yet to fully reconcile with), Raccoon City was a town like any other. Hard working men and women who had given birth to a quaint but industrial Hamlet nestled within the bosom of the Arklay mountain range. A city that fostered not evil and death, but revolutionary medicines and technological marvels. Raccoon celebrated art and culture with multiple public art installations (some even adorned with precious jewelry, like Raccoon City Hall’s famous radial time lock) and even much of the renovated RPD building could still be visited as a public library. While they exist as little more than memories now, the city’s sprawling public park housed a scenic walk through peaceful Arklay county forestation, and vintage establishments like Bar Black Jack offered a look back to a more rustic time for the city. 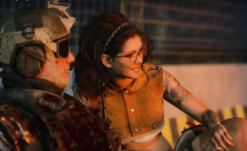 Survivors fondly remember Raccoon City zoo and its fabulous Elephant enclosure, the eloquent Raccoon University building, and the quaint Apple In hotel. 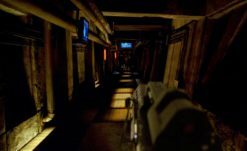 Raccoon General Hospital was known at the time for housing some of the state’s most technologically advanced medical equipment and research instruments, which managed to successfully give birth to the T-antigen, Daylight, in the city’s final few days. Daylight is still being used, unaltered, to this day by the BSAA (BioTerrorism Security Assessment Alliance). Of course, in the end, these memories of a city that once was pale in comparison to the memories of those who were trapped within the city limits as the town fell apart. A death toll surpassing the 100,000 mark left many more without family and friends. To the general public, gone in the blink of an eye, but left to wither away in a slow and painful death to those few survivors who were there to witness the ordeal. 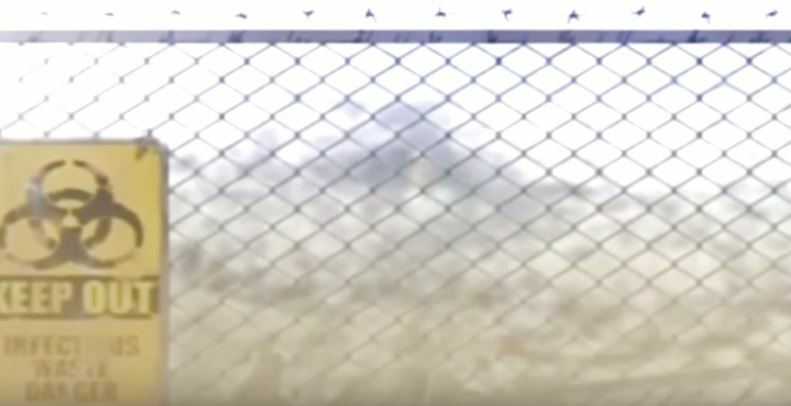 Today, Raccoon City’s location is still walled off behind military quarantine, a distant crater where nothing grows and no-one travels in or out. Impossible to find closure, many of the lost “Raccoon Families” weep at the fence overlooking the spot where the city once stood proudly. The government estimates that the location will remain on lockdown for the foreseeable future, despite there being no risk of viral infection or radioactive exposure after so long a time. We are left unable to mourn even the ashes, for better or for worse. The best that can be done is work toward a brighter future with one of the many organizations that have been set up in the wake of Umbrella and Raccoon City, to halt biohazards or provide relief to survivors. TerraSave, perhaps the most prominent human rights organization to rise up after Raccoon, was established to aid and support survivors and sufferers during bioterror attacks and outbreaks. Their works in Harvardville, Kijuju West Africa, and Terragresia have been hailed by the UN as shining examples of human decency and care. On the flip side, the BSAA was established to combat the terrorists and weapons themselves, with many Raccoon City survivors prominently making up their ranks. While they are currently at a diplomatic crossroads having begun work with the newly formed “blue” Umbrella Corporation, it’s hard for people not to hold hope in their hearts when seeing their global counter-terrorism at work. As we look back with the wisdom of so many years, hopefully we can better shape the world to avoid repeating the mistakes that lead to Raccoon City’s destruction. Hopefully, we can look to those poor souls who gave their lives, however unwillingly, in an event that helped shape the modern world. But beyond this, I also hope that we can remember Raccoon City as it was, the peaceful brick and mortar town that I myself spent my childhood playing in on warm summer nights before its death. To remember those streets and those families as they were, rather than the monsters and shadows that they became. A friend once pondered to me, if this is all worth fighting for. Looking back to Raccoon City, I would say yes friends. For a world without fear, without another Raccoon City, it is.